“We shape our tools, and then they shape us.” This saying, or some version of it, has cropped up in various contexts, but only in the context of genome engineering does it promise to become literally true. 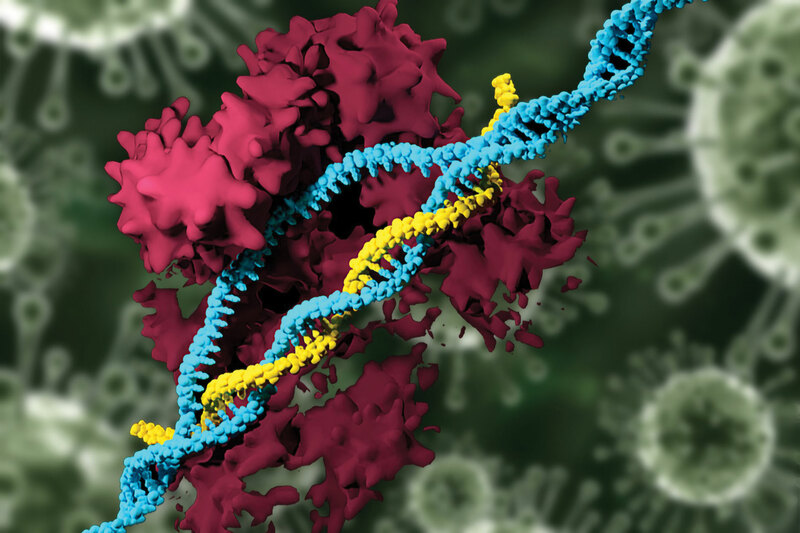 CRISPR tools that can disable genes, insert new genes, or influence gene expression are being developed that can handle increasingly challenging applications. We still lack CRISPR tools so precise as to permit the routine modification of germline cells. Consequently, designer babies are not on the research agenda—yet. In the meantime, CRISPR tools are gaining the precision they need for relatively modest (and less ethically fraught) biomedical applications. For example, CRISPR tools can focus gene therapy applications on specific tissues; reprogram immune cells; and generate more humanized animal models. More generally, CRISPR tools are achieving greater accuracy and efficiency. Many of the most advanced tools were discussed at the “4th Precision CRISPR Congress,” which took place earlier this year in Boston. As this article indicates, some of the tools are likely to enhance basic research. Other tools promise to improve drug development and advance new therapeutic applications. Even if CRISPR tools refrain from modifying the human genome, they can still bring novel biomedical interventions to people. How? By enabling the development of animal models that incorporate genetic features useful for basic, translational, and pharmaceutical research. Some of these animal models (which may, from a CRISPR perspective, qualify as intermediary tools) were discussed at the Precision CRISPR event by Channabasavaiah B. Gurumurthy, Ph.D., associate professor of developmental neuroscience at the University of Nebraska’s Munroe-Meyer Institute. Dr. Gurumurthy’s animal model technology extends his work on transgenic and genome-editing technologies. 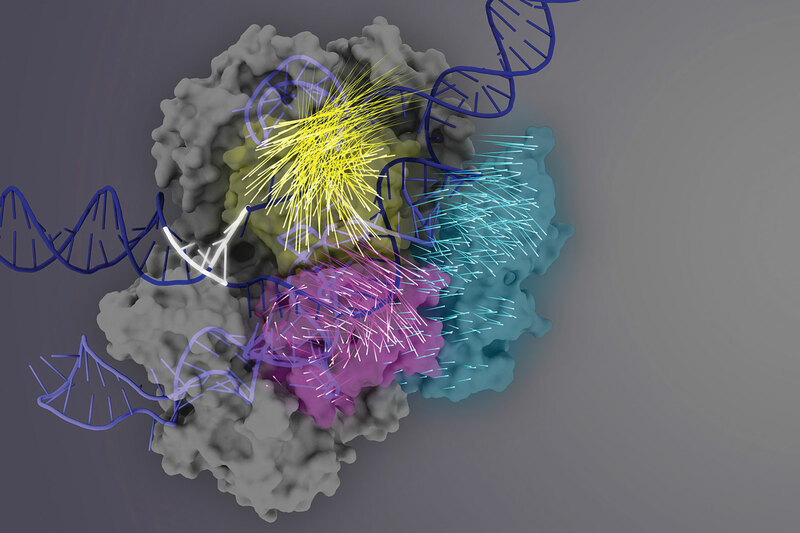 For example, his laboratory has developed several CRISPR tools, including Easi-CRISPR, where “Easi” stands for efficient additions with single-stranded DNA inserts. According to Dr. Gurumurthy, Easi-CRISPR facilitates the insertion of exogenous DNA or the replacement of genomic segments. Easi-CRISPR, he explained, can enhance the frequency of homology-directed repair with long segments of donor material. 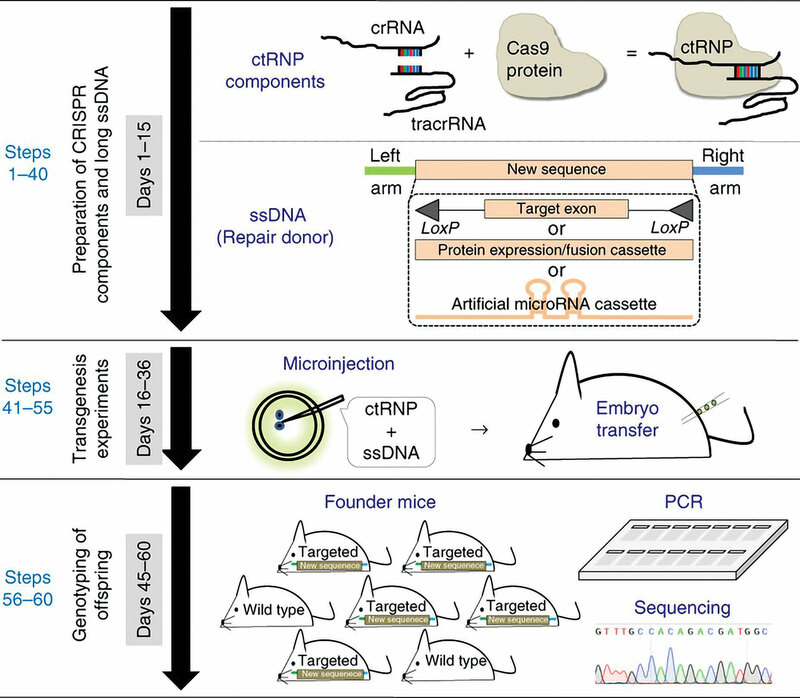 Easi-CRISPR is a kind of Cre-LoxP recombination system. Such systems rely on the Cre (“causes recombination”) protein to excise, replace, or translocate DNA that is “floxed,” that is, flanked by LoxP sites, which may be placed where desired. Most important, floxed alleles may acted on conditionally, in selected tissues or in response to external stimuli. With Dr. Gurumurthy’s CRISPR-based Cre-LoxP approach, two cleavages can be used to remove a target exon and replace it with a floxed exon cassette. The approach is suited, Dr. Gurumurthy and colleagues suggested, to the generation of various kinds of DNA replacements: the introduction of point mutations spread across a region (including segments that are up to 1–2 kb long), the testing of regulatory sequences, and the replacement of short stretches of gene segments or coding sequences by genetic material derived from other species (for example, in the creation of humanized mice). Easi-CRISPR is already being commercialized. Last April, Taconic Biosciences announced that it had secured a nonexclusive license to use the technology to engineer mouse models for research purposes. Scientists at the University of Nebraska Medical Center have developed Easi-CRISPR, a protocol for inserting long, single-stranded DNA into target cells. As a research tool, Easi-CRISPR is being used to develop genetically engineered model organisms and other testing media. The protocol takes approximately two months to generate either knock-in or conditional knock-out mouse models. Besides leading an effort to inject Easi-CRISPR components into mouse zygotes, Dr. Gurumurthy helped inspire a very different procedure: the introduction of Easi-CRISPR components into T cells via electroporation. The T-cell procedure was brought to fruition by scientists based at the University of California, San Francisco. These scientists, led by assistant professor of microbiology and immunology Alex Marson, M.D., Ph.D., realized that if they combined Easi-CRISPR and electroporation, they would be able to reprogram T cells without having to rely on viral vectors, which can be difficult to engineer and may provoke immune responses in therapeutic applications. Also, Dr. Marson’s team thought that Easi-CRISPR could be used to introduce long sequences of DNA into T cells. The addition of long sequences, previous research had suggested, could be toxic and cause T cells to die. Easi-CRISPR, Dr. Marson and colleagues hoped, would allow them to do more than just disable selected genes or introduce small bits of genetic material. Ultimately, as Dr. Marson explained at the Precision CRISPR event, his team devised a system to create viable custom T-cell lines. This advance, which was reported in Nature, emerged after Dr. Marson’s team experimented with thousands of different combinations of system elements—the quantities of T cells, DNA, and CRISPR ribonucleoproteins (RNPs), as well as the variables related to culture conditions and electroporation procedures. The new approach be used to expedite studies of T-cell circuitry because it dispenses with time-consuming work related to the development of viral vectors. Also, it could be part of an integrated cell-therapy-based anticancer strategy: removing a patient’s blood cells, isolating the T cells, manipulating the T-cell genome, and transferring the T cells back into the patient, where they will more aggressively attack cancer cells. Another presenter at the Precision CRISPR event discussed the advantages of avoiding viral vectors. This presenter, Daniel G. Anderson, Ph.D., an associate professor at Massachusetts Institute of Technology, explained that lipid nanoparticle formulations could be used to deliver CRISPR-Cas9 components while posing a low risk of immunogenicity. Significantly, the nanoparticle delivery system described by Dr. Anderson presented yet another advantage: the ability to favor, by orders of magnitude, the delivery CRISPR-Cas9 components to hepatocytes over nontarget cell types. The greatest challenge Dr. Anderson and colleagues encountered in their new work was the judicious chemical modification of the CRISPR-Cas9 system’s single-guide RNA (sgRNA). Absent such modification, the sgRNA would be vulnerable to enzymatic degradation. Dr. Anderson and colleagues developed enhanced sgRNA (e-sgRNA) in which up to 70% of the molecule was modified. (Modifications included the introduction of 2′ hydroxyl groups and phosphorothioate bonds.) By scrutinizing the structure of the Cas9–sgRNA complex, the investigators identified regions of sgRNA that tolerate chemical modification without inhibiting the interaction of Cas9 and sgRNA while maintaining or enhancing genome editing activity. Also, Bradley J. Merrill, Ph.D., an associate professor of biochemistry and molecular genetics at the University of Illinois at Chicago, described a mechanism that could enhance Cas9’s efficiency. The key, he said, is to arrange for RNA polymerase to dislodge Cas9 from double-strand DNA breaks. Chen revisited work that relied on single-molecule Förster resonance energy transfer experiments to reveal the interactions that occur between domains of the Cas9 molecule. This work, which was detailed in Nature, showed that molecule’s REC3, REC2, and HNH domains move when the Cas9–sgRNA complex binds to DNA. When REC3 “senses” the DNA target sequence, it causes REC2 to swing out of the way of HNH, a nuclease domain, essentially triggering Cas9’s “scissor” activity. If REC3 is subjected to the right modifications, it can become sensitive only to very close matches between sgRNA and segments of DNA, reducing the likelihood of off-target activity while preserving on-target activity. Dr. Merrill presented findings showing that persistent Cas9 binding blocks access to double-strand DNA breaks. When Cas9 blocks repair enzymes from reaching the breaks, Dr. Merrill and colleagues have determined, genome editing efficiency is reduced. “Cas9 can be dislodged by translocating RNA polymerases, but only if the polymerase approaches from one direction toward the Cas9-DSB complex,” they reported in Molecular Cell. “By exploiting these RNA-polymerase/Cas9 interactions, Cas9 can be conditionally converted into a multi-turnover nuclease, mediating increased mutagenesis frequencies in mammalian cells and enhancing bacterial immunity to bacteriophages.” Essentially, arranging for Cas9 to anneal just one of the two DNA strands, and ensuring that the enzyme’s vulnerable side will be exposed to an oncoming RNA polymerase, can prevent random gene-editing failures. Gene knockout technologies have contributed fundamentally to our understanding of the cellular functions of various genes, note Tzahi Noiman and Chaim Kahana, whose research article (“A Simple Combined Use of CRISPR-Cas9 and Cre-LoxP Technologies for Generating Conditional Gene Knockouts in Mammalian Cells”) appears in The CRISPR Journal, Vol. 1, Number 4, August, 2018, published by Mary Ann Liebert, Inc.
conditional deletion of essential genes in mammalian cells. First, an inducible Cre recombinase is stably expressed in the cells. Next, CRISPR-Cas9 is used to knock out an essential gene, whose function is complemented by stable expression of a FLAG-tagged version of the same protein encoded from a floxed transcription unit containing silent mutations, making it refractory to the CRISPR-Cas9 guide. This FLAG-­tagged protein can be deleted by activating the expressed Cre protein, enabling evaluation of the cellular con­sequences of its deletion. The researchers have further used this system to evaluate the ability of phylogenic homologues and of potential mutants to cover functionally for the deleted gene. To read the entire research article in The CRISPR Journal see www.liebertpub.com/doi/10.1089/crispr.2018.0010.